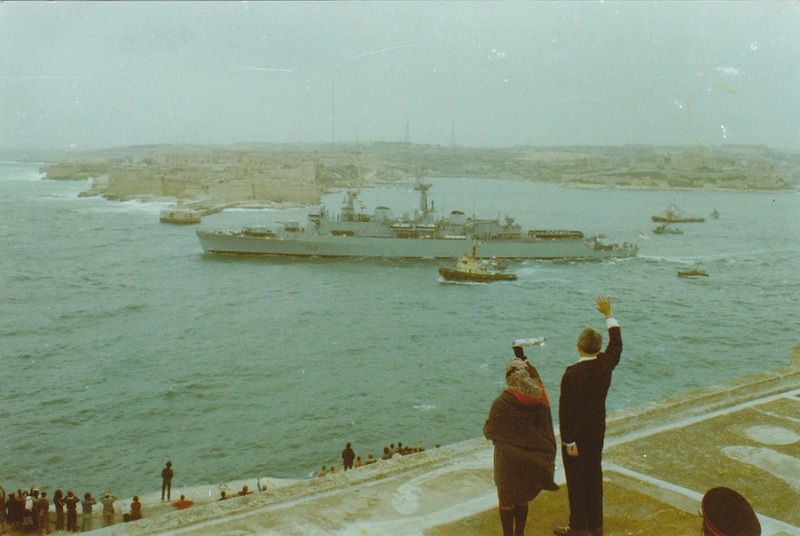 Final Farewell - the then President of Malta Anton Buttigieg giving the last goodbye as HMS London departs the Grand Harbour on 1st April 1979, the last British naval vessel to leave Malta on the ultimate withdrawal from Malta. She wears the flag of the last Commander of the British forces in Malta, Rear Admiral O N A Cecil CB. The end of an era - nearly 180 years of the Royal Navy at Malta.